When Andrew Mackay, a postdoctoral researcher at the University of Illinois at Urbana-Champaign, set out to investigate the link between West Nile virus and stormwater retention basins, he didn’t count on land managers mowing test sites. It could have marked the end of sampling at those locations, but Mackay decided to put mosquito traps out anyway. The decision led to the project’s most significant finding. “We saw a large increase in the number of Culex pipiens­ and Culex restuans mosquitoes where aquatic plants had recently been mowed,” said Brian Allan, faculty in the Department of Entomology and co-author of a paper detailing the results of the study in the journal Ecological Applications. A large spike in C. pipiens—the primary vector for West Nile in the United States—occurred in basins overrun with Phragmites and cattails. Researchers saw a 10-fold increase in Culex larvae after these invasive plants were cut down. The population boom was likely driven by the large amount of plant debris added to the water when vegetation is mowed down. 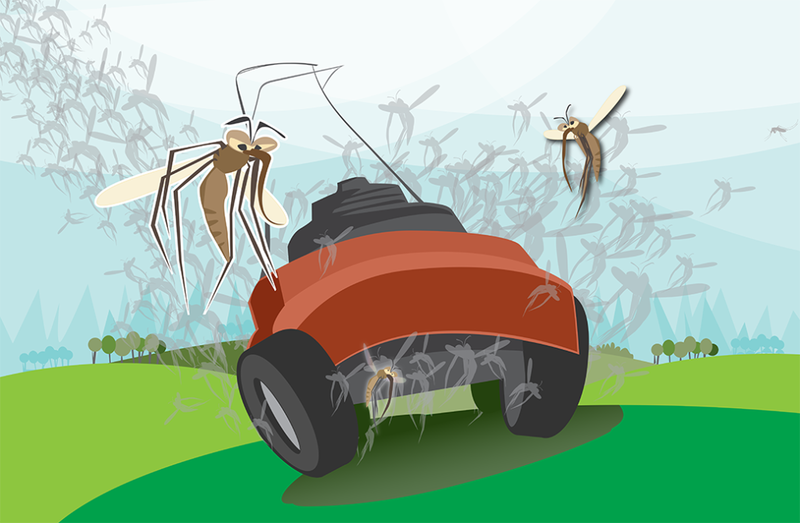 Bacteria that colonize waterborne debris are a rich food source for mosquito larvae, making mowed basins ideal locations for mosquito nurseries. Trimming Phragmites also displaced a variety of bird species that roost in the tall grass. The researchers expected this dispersal would lessen public exposure to West Nile virus. “As long as these birds were nearby, there was less need for the mosquitoes to venture out for a meal and potentially feed on more ‘competent’ hosts,” he added.